BBC1's biggest event on the 24th December will be the final episode of the second series of Last Tango in Halifax (9pm). 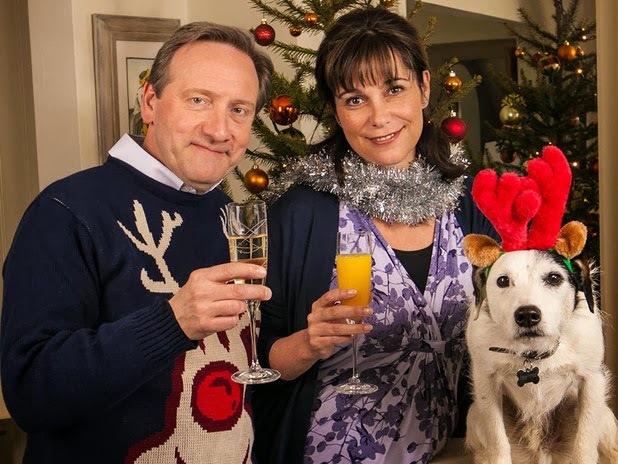 The comedy drama will follow Alan and Celia's second wedding with all their family being invited this time round. Directly after this the channel will be airing a special of Not Going Out (10pm) which features more comic hijinks from Lee Mack as well as the return of Bobby Ball as his no good dad. BBC2 will be airing a collection of classic comedies for the majority the day however they will be airing Mel Smith: I've Done Some Things (9:45pm) - a tribute to the late comedian who died earlier this year. ITV will be hoping to counterbalance the BBC's schedules by airing a two-hour special off the ridiculously popular Midsomer Murders(8pm). Meanwhile, Channel 4 are airing another Christmas special of Big Fat Gypsy Weddings (8:05pm) followed by a night dedicated to the now departed sitcom The IT Crowd (9pm). BBC1's Christmas day schedule will start properly with the obligatory Christmas special of Strictly Come Dancing (5pm). The annual event features big names who can't commit to a whole series and this year features Elaine Page, Rufus Hound and Ricky 'Fatboy from Eastenders' Norwood. Following on from this is Call the Midwife (6:15pm) which will see the nuns try to calm the community after an unexploded bomb is found. 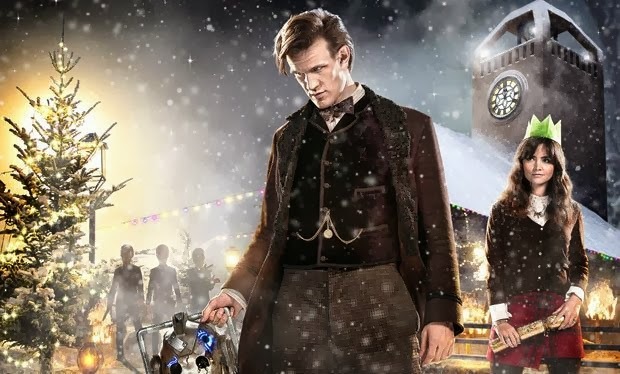 The main event for most will be Doctor Who (7:30pm) as we say goodbye to Matt Smith as the titular Timelord and welcome Peter Capaldi as the newest inhabitant of the Tardis. Then we head over to Albert Square as Eastenders (8:30pm) gets us all festive with the arrival of Danny Dyer as landlord of the Queen Vic. 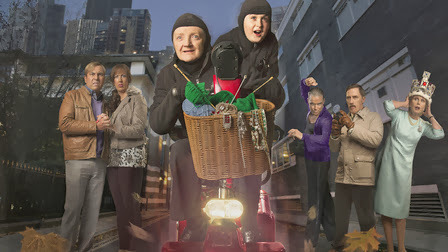 Finally we journey to Ireland for one of two special episodes courtesy of Mrs Brown's Boys (9:30pm). Alongside all the traditional comedy specials that they air every year, BBC2 are promising something a little bit different courtesy of The Tractate Middoth (9:30pm). This one-off horror drama, which is adapted by Mark Gattis, surrounds the mystery of an ancient book. Over on ITV they'll be kicking things off with a canine-based treat thanks to a festive special of Paul O'Grady: For the Love of Dogs (5:15pm). This will then be followed by the channel's two popular soaps ; Emmerdale (6:15pm) and Coronation Street (7:30pm). The grand finale for the channel will be a two hour special of Downton Abbey (8:30pm) which features the return of Shirley Maclaine as Cora's mother and the arrival of her brother played Paul Giamatti. The majority of Channel 4's Christmas Day schedules is made up of films but there are some Christmas specials to keep us entertained. Bear Grylls kicks us off with Bear's Wild Weekend with Stephen Fry(8:30pm) which see the survivalist join forces with the nation's favourite funny man. Talking of funny men, we also have a festive special of Alan Carr: Chatty Man (9:30pm) which promises to keep you laughing throughout. Finally, new sitcom Man Down (10:35pm) will be airing a Christmas Special centring on a very unique Christmas play. BBC1 is offering a big family treat on the 26th December with their adaptation of David Walliams' Gangsta Granny (6:05pm). The comic tale is set to star Walliams himself alongside Julia McKenzie, Miranda Hart, Rob Brydon and bizarrely Robbie Williams. The channel are also banking on nostalgic laughs with Still Open All Hours (7:45pm) which sees the return of David Jason's Granville alongside a new generation of actors and some familiar faces. This is followed by the start of three-part costume drama Death Comes to Pemberley (8:15pm) an adaptation of PD James' sequel to Pride and Prejudice. Meanwhile, ITV's primetime schedule is taken up by the premiere of Harry Potter and The Deathly Hallows Part One (7:15pm). What are you looking forward to this Christmas? Let us know by leaving a comment below.